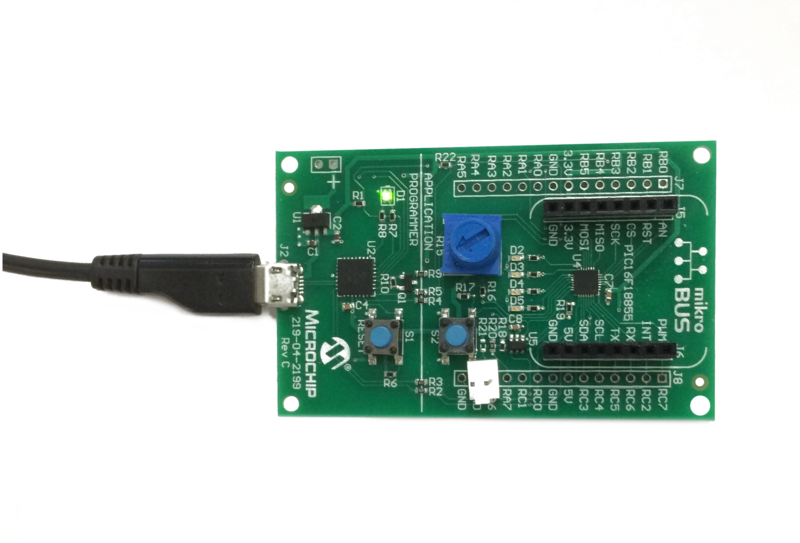 In this project, the voltage across the potentiometer on an MPLAB® Xpress Development board is converted to a 10-bit value using the Analog-to-Digital Converter with Computation peripheral. 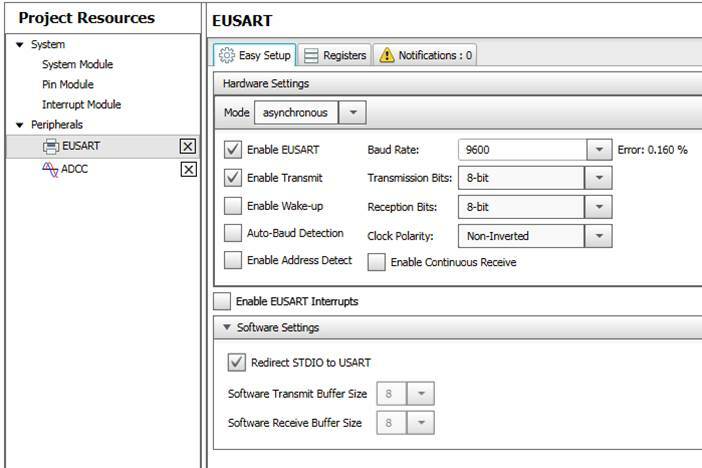 The value is then sent to the EUSART peripheral on the PIC16F18855 to be transmitted to the other PIC MCU on the Xpress Board to convert and then transmitted over the USB connection to a computer to display in a terminal emulator program. 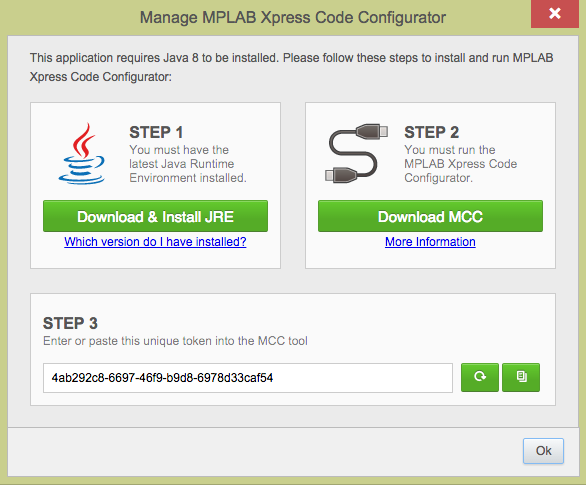 To follow along with these steps, MPLAB® Xpress should be open and the user should be logged in so that the MPLAB Code Configurator plug-in can be used. 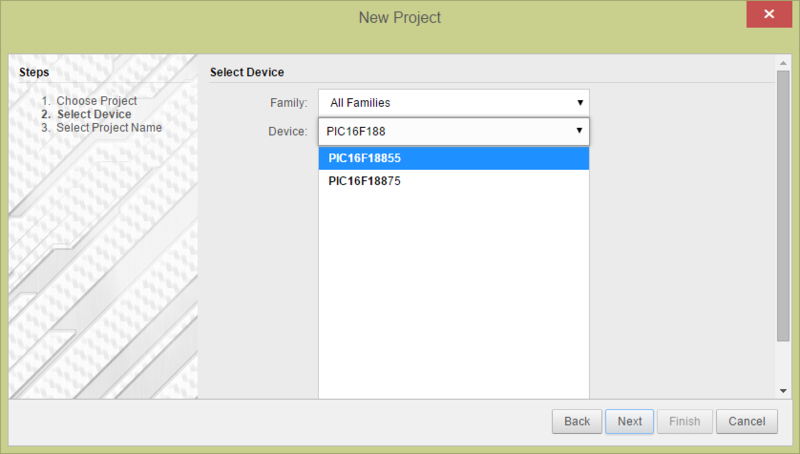 Create a new project in MPLAB Xpress for a PIC16F1855 using the MPLAB Xpress Development Board called analogReadSerialWrite. Inside of the MCC, expand the ADCC heading in the Device Resources and double-click on the ADCC peripheral to add to the Project Resources. Set Acquisition Time to 1. This will delay for 1 x TAD = 1 x 2.0 µs before initiating the conversion process when the ADCC receives a trigger. 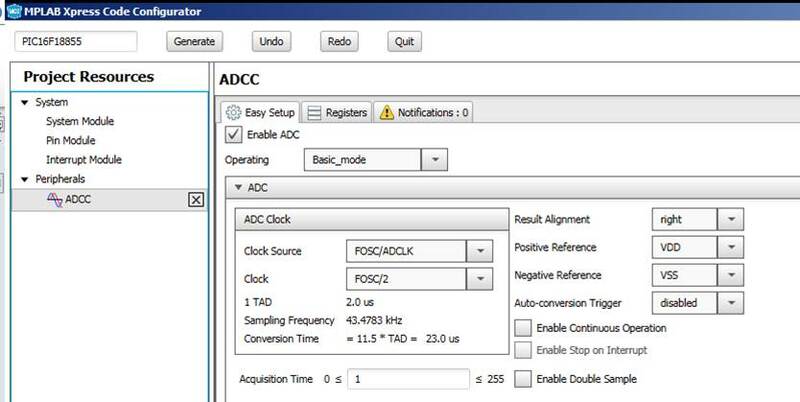 This is a newer feature of the ADCC replacing traditional delays that tied-up the processor. 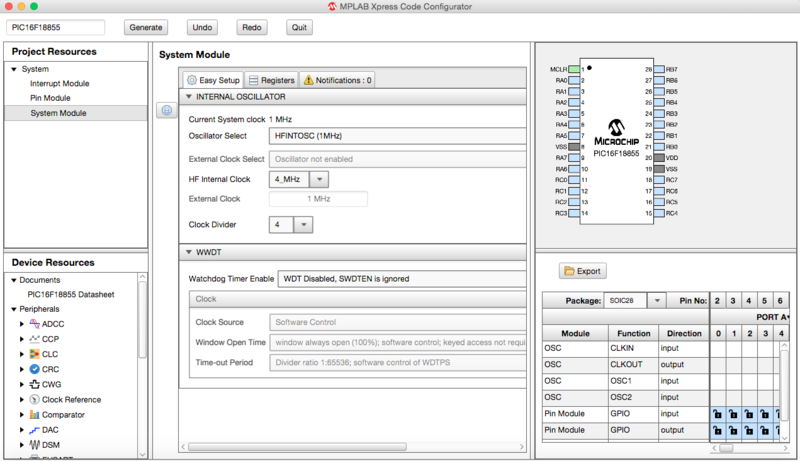 In the Pin Manager pane, tie the RA4 pin that is connected to the potentiometer on the MPLAB Xpress Development Board to the ADCC input channel by clicking on the appropriate cell in the ANx row. 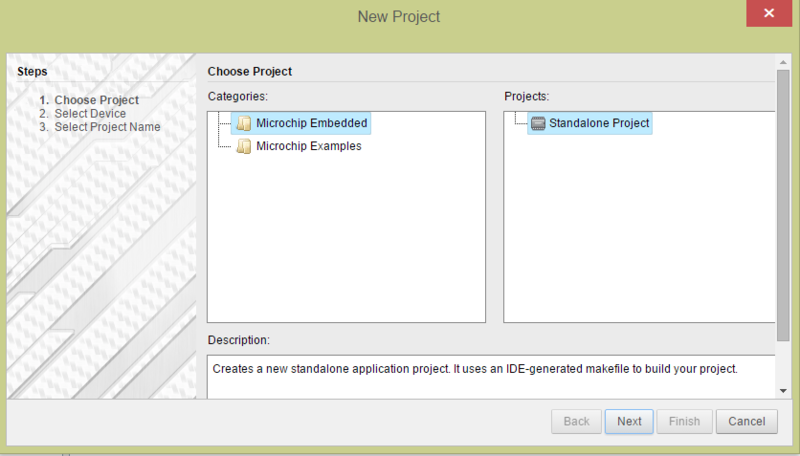 Highlight the Pin Module in Project Resources to open the Easy Setup pane. Edit the Custom Name field to rename the ADCC input channel to something more intuitive like POT. 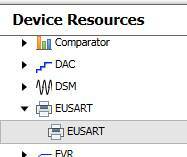 In the Device Resources pane, scroll down to locate the EUSART heading, expand and double-click to add the EUSART peripheral to the Project Resources>Peripherals section. The Easy Setup Hardware Settings should now resemble the image below. 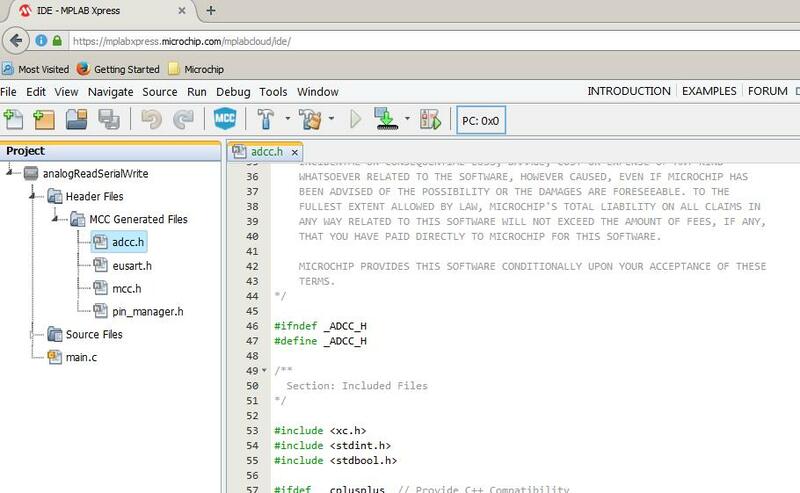 Return to the MPLAB Xpress IDE and open the adcc.h header file under the Project>analogReadSerialWrite>Header Files>MCC Generated Files folder tree. Scroll down through the adcc.h header file to locate ADCC_GetSingleConversion(). 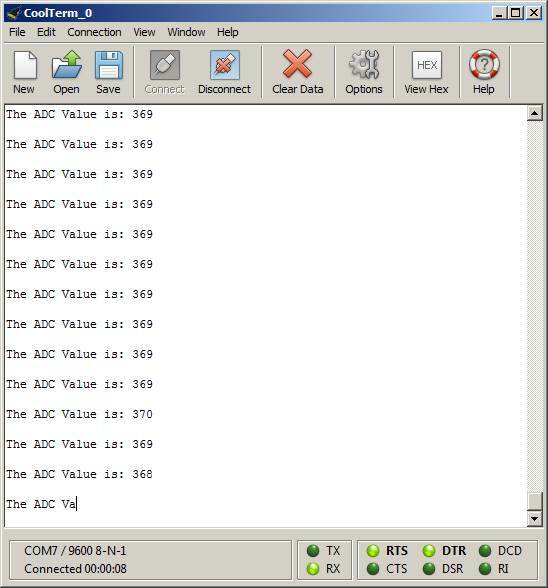 This function will trigger a single ADCC conversion and is the same as the legacy ADC function call ADC_GetConversion() readers who’ve used the ADC peripheral on other devices may recognize. Highlight and copy the function. In the Project pane, highlight the main.c source file to open. 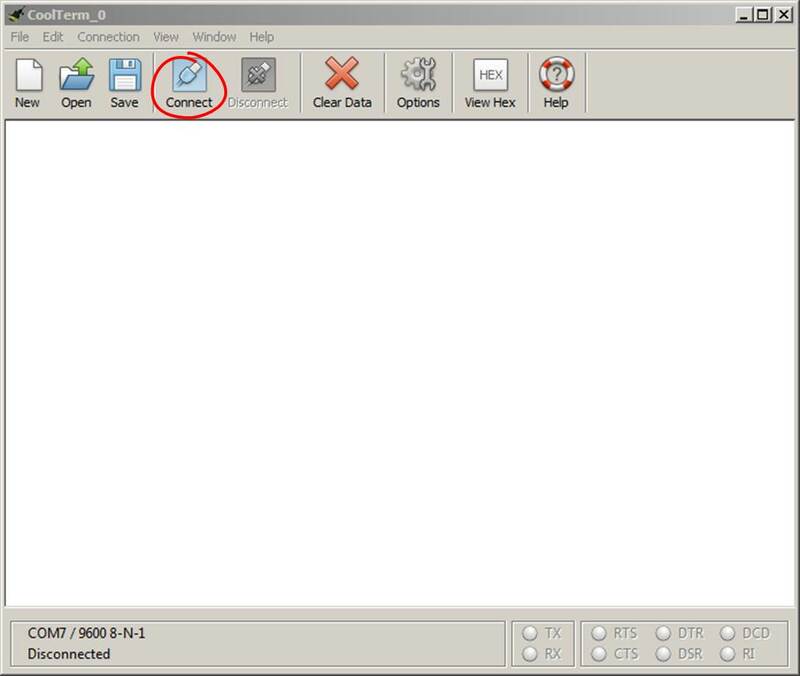 Open a terminal program on the host computer select Connect. 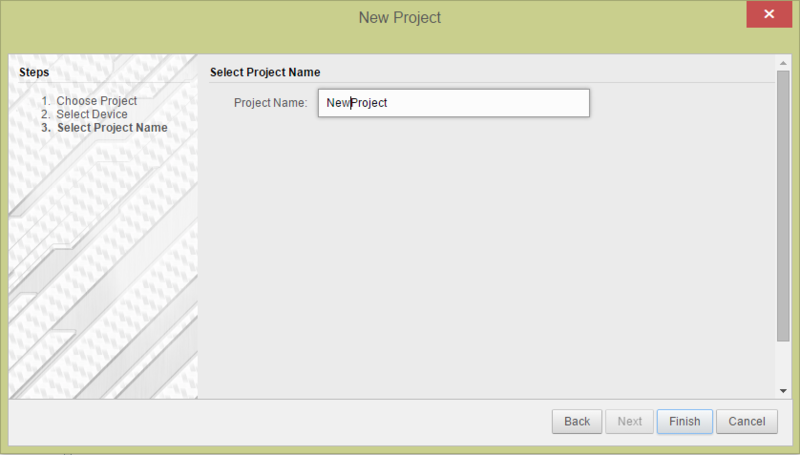 In this example the FREE program called CoolTerm is used. 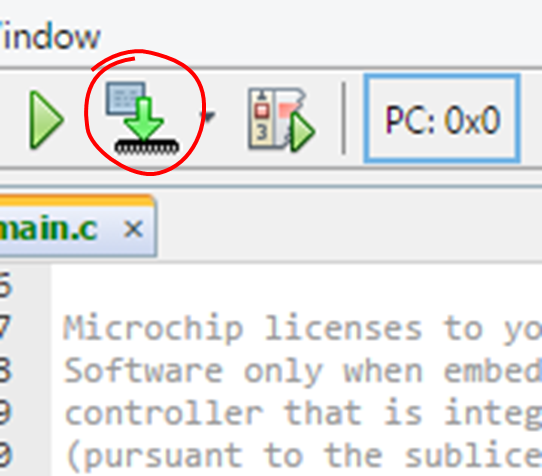 Once communication is established with the MPLAB Xpress Board, the Terminal screen should display a value between 0 and 1023 depending on the rotation of the potentiometer. 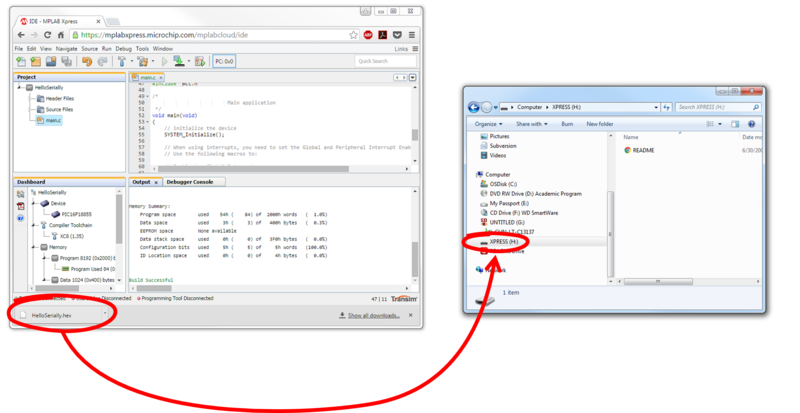 Where: VREF is the Positive Reference selected when the ADCC was configured. This was left at the default of VDD (PIC16F18855 supply voltage) or 3.3 V.